Couch potato? Stuck in a rut? Lacking energy, motivation, drive or ambition? Irritable bowel syndrome (IBS) is a common, long-term condition of the digestive system. It can cause bouts of stomach cramps, bloating, diarrhoea and/or constipation. The symptoms vary between individuals and affect some people more severely than others. 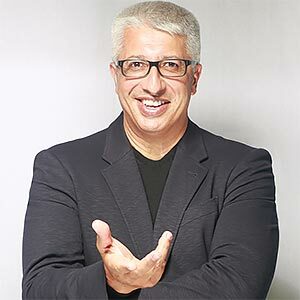 Hypnosis is now widely recognised as an effective way to help relive the condition and Russell Hemmings is globally acknowledged as an expert in this field. 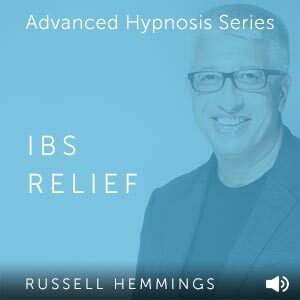 This package includes an Introduction to hypnosis, full self hypnosis download and full IBS relief download. Kick Start The New You! Want to be slimmer, fitter, more healthy and bursting with confidence? Yes? Then this new audio package is for you! 4 complete hypnosis downloads from world renowned hypnotherapist, Russell hemmings. He'll introduce you to Self Hypnosis, you'll learn to prepare yourself for the awesome lifestyle and bodyshape changes coming your way. We will tackle your weight with my Weight Control therapy. Your willpower and self-confidence will be boosted with my latest Confidence recording and finally your fitness will improve with Motivation For Exercise. Instant download. Don’t let Type 2 diabetes get the better of you - we can start to make changes and help to tackle it together! Russell Hemmings uses his very latest hypnosis techniques to help you make the significant lifestyle changes you know you need to make. This high quality audio presentation features ultra relaxing background music coupled with the soothing and relaxing voice of Russell Hemmings. 2 high quality audio mp3 files are included. 2 complete download sessions. So many of us start off with good intentions when it comes to exercise, but often these fall by the wayside and we find ourselves back on the sofa. Ready to make a positive lifestyle change? Let’s get motivated. World renowned hypnotherapist Russell Hemmings uses the latest hypnosis techniques to harness your motivation using the power of the mind. Also includes introduction to hypnosis and full self hypnosis download session. Trying for a baby over many months or years can become intensely stressful. The cycle of hope and disappointment can have a counterproductive effect, preventing your body from being receptive to conceiving. So whether you are already taking part in an IVF programme or want to try a new approach, this package has been carefully designed to maximize effectiveness. Current thinking suggests that stress is a major factor for couples with fertility problems. This download aims to help to alleviate that aspect, helping you to relax and guide you into a new way of thinking, preparing you to approach becoming pregnant in a beautiful and positive way. Instant download - 3 Complete sessions. Welcome to Stop Sugar Craving with Russell Hemmings. A super programme which also includes full Self Hypnosis and Healthy Eating sessions. Followed by an introduction to Stop Sugar Cravings - then the Stop Sugar Cravings session. So, if you're serious about making a positive change to your eating habits, then this system is for you. 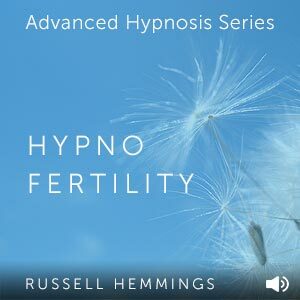 This high quality audio presentation features ultra relaxing background music coupled with the soothing and relaxing voice of Russell Hemmings. Instant download. Russell Hemmings helps you to unlock your true potential through self hypnosis. Using the latest techniques in hypnosis, ultra relaxing background music, a short introduction explaining how hypnosis works and a full Self Hypnosis session, this download will help to build confidence, learn to quell anxiety and allow you to achieve your personal goals. This download helps you learn how to relax through the power of hypnosis, it's an ideal starting point before moving on to other more issue specific downloads in the range. © 2019 Russell Hemmings International. All rights reserved.